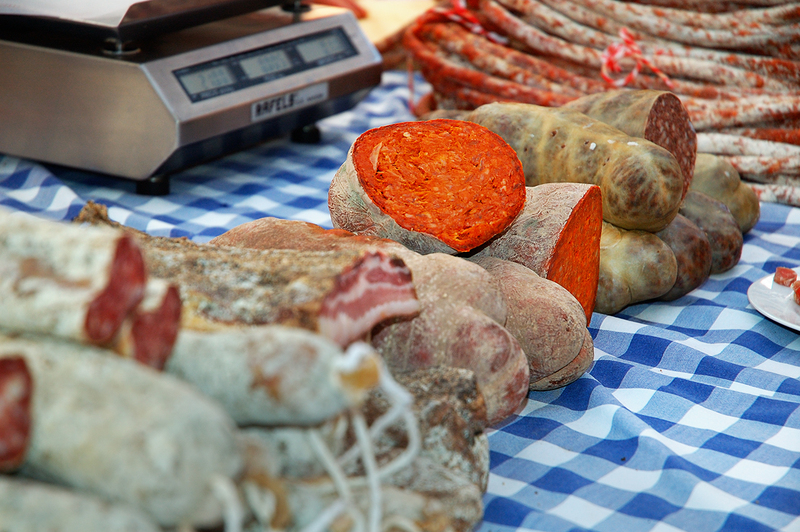 Sobrasada (Sausage Spread) is in the group of sausages made with pork. It is prepared with minced meat and lard. The great amount of Spanish paprika or "pimentón" gives it the characteristic color and the peculiar flavor. Sobrasada is a Majorcan speciality. Although you can buy it all over Spain, the authentic, the one that really makes a difference, is from Majorca in the Balearic Islands. Oh, sweet heavenly chorizo. Fantastic shot-tablecloth against the meat. it is amazing...you have never tasted anything like this.